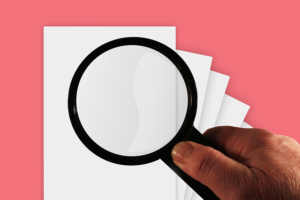 Failing to read and understand the fine print in real estate documents can result in disastrous and costly consequences. Home buyers and sellers should not allow themselves to feel pressured by realtors to quickly sign documents. Realtors cannot provide legal advice, so many people choose to consult with a real estate lawyer when reviewing real estate contracts. Selling or buying a home involves lots of paperwork from listing agreement to the final closing documents. Once both parties sign those documents, whether it is the home seller and realtor or the home buyer and realtor, they become legally binding. For example, a listing agreement would include the effective date that a house would be listed for sale and an expiration date in the event the house did not sell within a certain time frame. The agreement would also list any fees and commissions that will be paid to the listing agent. If the listing agent agreed verbally to cut their commission from six percent to five percent to get a listing from a seller that would be great. However, if they list six percent on the contract, the seller is legally bound to paying that amount of commission. Business owners need to be particularly careful with reading the fine print in their real estate leasing agreements, even if they are experienced with such agreements. It is rare for commercial lease agreements to stick to a standard-type form. They are often uniquely crafted with provisions for each property and are often designed with bargaining in mind. Providing notice to renew or terminate. The lease should include provisions and time limits for renewing the lease or giving notice that the lease will be terminated. Indemnity and Defense. This is a provision where one party may be required to defend, indemnify and/or hold the other party harmless if he or she breaches the contract. Surrender Clauses. If alterations have been made to the leased property, the lease agreement may specify that space must be returned to its original conditions. If disagreements occur after signing a commercial lease, the result could be costly to the business. Litigation could be involved, and the lessee may need legal assistance from a real estate lawyer to resolve the disagreements.